Want to keep Halloween classy? 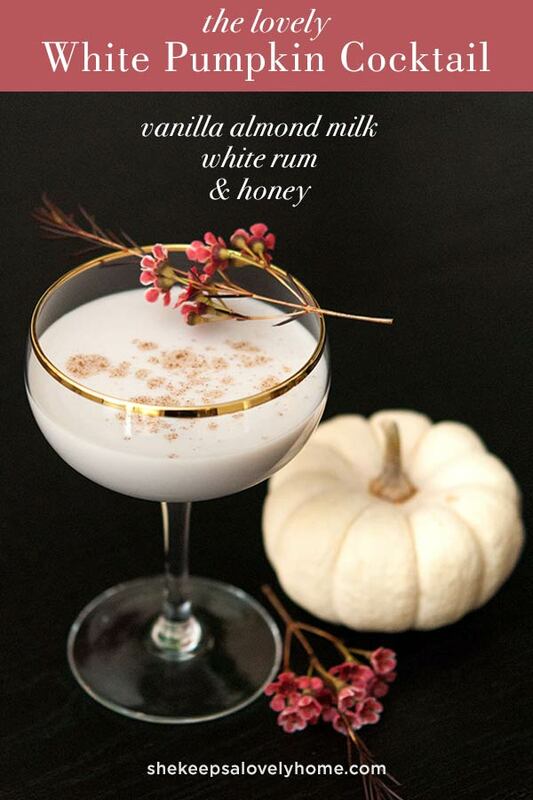 Try this elegant little vanilla, honey, pumpkin-spiced White Pumpkin Cocktail at your next cocktail party. I think it’s nice to keep a little elegance in Halloween. Not that it isn’t fun to be totally gross once in a while – cover everything in fake blood, put your hands in a bowl of cold spaghetti “brains” and serve appetizers that look like eyeballs… but eh, I think it’s more original to be fancy with it. I like using flowers and seasonal, natural ingredients and accents. I keep it fancy – and enjoy the eyeballs at my friend’s parties. 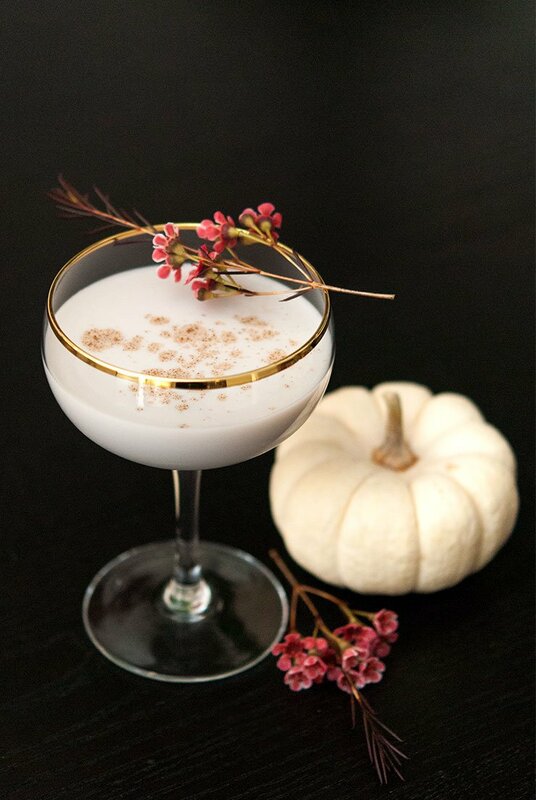 This White Pumpkin cocktail is perfect for the party host or hostess who wants to keep their Halloween cocktail party classy and whimsical. 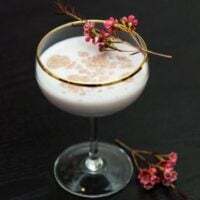 I suggest using a simple, seasonal, flowery wisp for a garnish with this cocktail. Just something delicate in the tones of Fall. Never shake directly from the spice container when you’re sprinkling cocktails. You can easily ruin a pretty drink with a burst of more spice than you were expecting. Always add it to your hand and use your fingers to sprinkle. Yes! 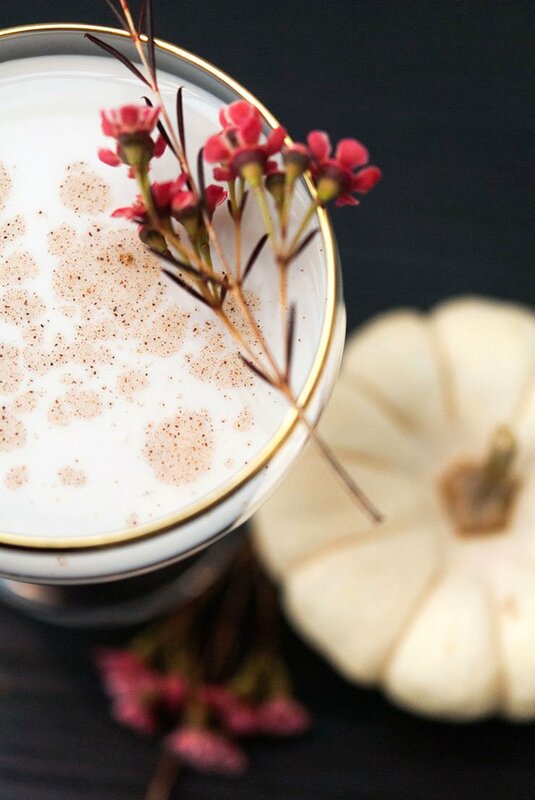 This is one of my favorite Autumn cocktail party signatures, so I make a batch of it ahead of time, keep it chilled in the fridge and simply pour, shake with ice, garnish and serve. For 6 pre-made cocktails, simply mix 9 oz. of white rum, 12 oz. vanilla/almond milk, and 3 tsp. honey. Pour white rum and vanilla/almond milk into a shaker with ice and add ½ tsp. of honey. Shake vigorously and pour into a frosted coup glass. Sprinkle with a teeny bit of pumpkin spice. 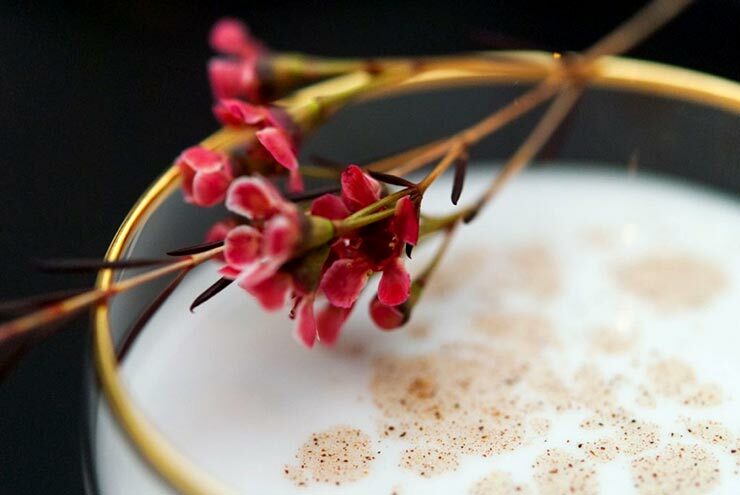 Garnish with a lovely, delicate, wispy flower sprig. If you don’t have pre-mixed pumpkin spice, you can make your own. It’s 3 tbsp. of cinnamon, 2 tsp. ground ginger, 2 tsp. ground nutmeg, 1½ tsp. ground cloves. Hi Genevieve! Just found your blog and love it. You’re doing sucha great job – beautiful photos and interesting recipes. And this cocktail is so chic! Can’t wait to try it.